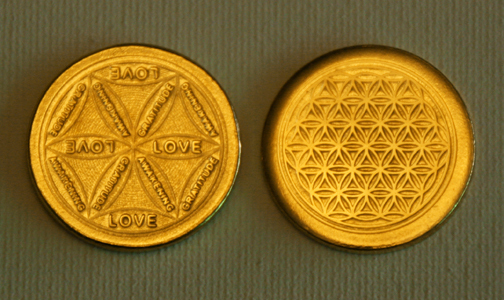 the Seed Of Life on the other. are within the Seed Of Life graphic. The price is $10 for one coin, or $100 for 20.